At the College Language Association (CLA) conference, I gave a presentation discussing multiple editions of Frederick Douglass's Narrative. I pointed out that in addition to the covers of the books we can also learn from the many different introductions of Douglass's book produced by scholars. 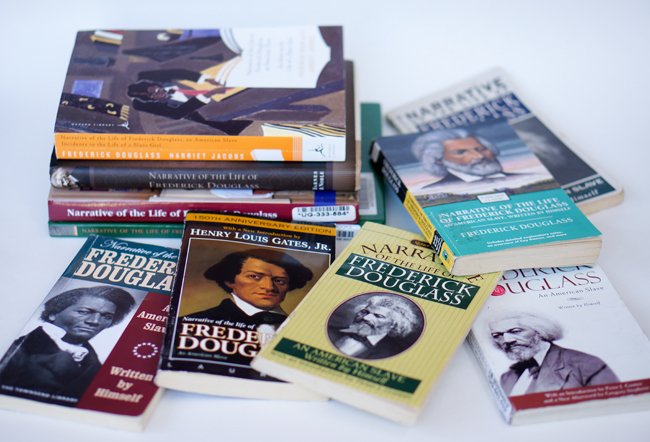 Over the last two decades, several scholars, including Houston Baker, Jr., David Blight, Henry Louis Gates, Jr., Robert O'Meally, William Andrews, and Deborah E. McDowell have produced introductions for editions of Douglass's Narrative. McDowell's introduction to a 1999 Oxford University Press, I was noting at CLA, is especially unique and powerful. 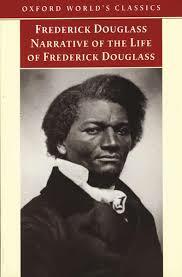 Most introductions for Douglass or any major writer are almost entirely celebratory, highlighting the most outstanding aspects of the author and book. McDowell no doubt accounts for some of the many attributes that make the Narrative such an important book. In this regard, her introduction coincides with the many other introductions for Douglass's book. But she distinguishes herself by also identifying, in the introduction, some of the limitations of Douglass's Narrative. McDowell points out, for instance, that "inasmuch as 'manhood' and 'freedom' function throughout Douglass' discourse on slavery as coincident terms, his journey from slavery to freedom leaves women in the logical position of representing the condition of slavery." Later, McDowell points out that "The Narrative is literally populated with the whipped bodies of slave women, and in each of these scenes Douglass looks on voyeuristically in a fashion tinged with eroticism." McDowell responds to a scholar's observation that the Narrative regularly shows the whipping of women in the book because it was an element of its rhetorical approach. However, McDowell explains that Douglass "achieves his 'stylistic signature' on the backs of black women." Her observations were an abbreviation of her essay, "In the First Place: Making Frederick Douglass and the Afro-American Narrative Tradition” (1991). Despite any shortcomings and problems, McDowelll acknowledges that the Narrative occupies a really important place in interpretive history. "The book has adapted nimbly," she notes, "to changing critical moments, fashions, and vocabularies of literary scholarship." For me, McDowell's introduction is or should be an essential component to the publishing history of Douglass's Narrative.